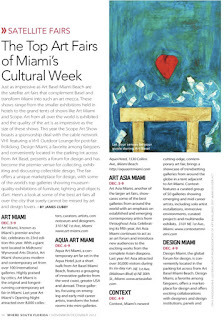 Along with Art Basel Miami Beach comes the explosion of Art Fairs which transform Miami into an amazing art destination. 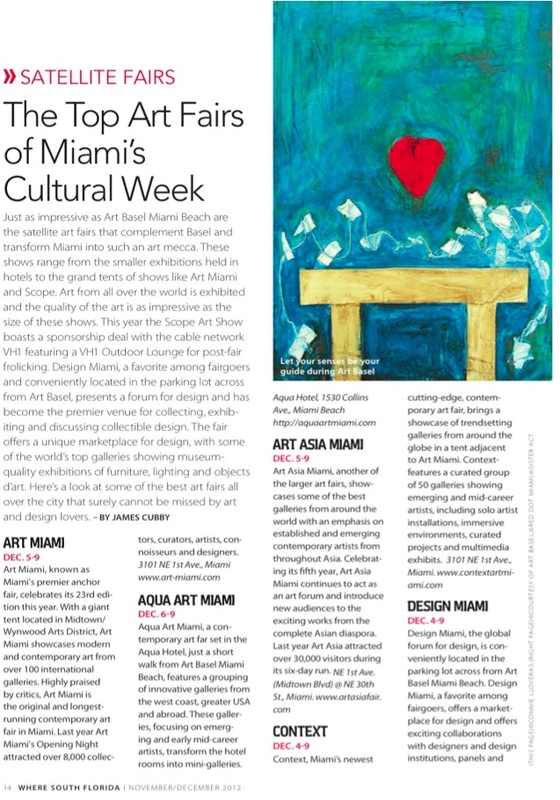 This year there will be art fairs in Wynwood, the Design District and Miami Beach. 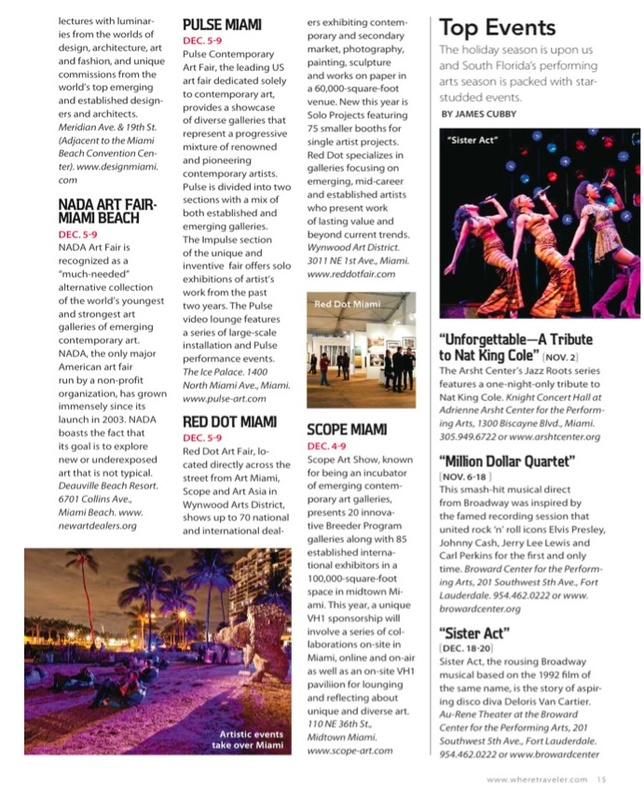 From Art Miami, which is really incredible and should not be missed, to Art Asia, SCOPE, and the many art fairs located in the hotels along Collins Avenue, there will be art every where. This year there's also a new art fair in a tent on the beach in South Beach. 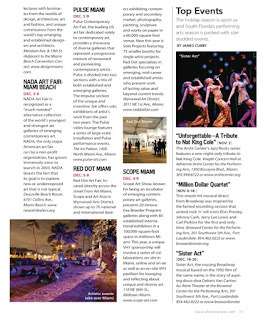 Check out my coverage of the Art Fairs in the new issue of Where South Florida (reprinted below).